If you are looking to liven up your breakfast stop right here. 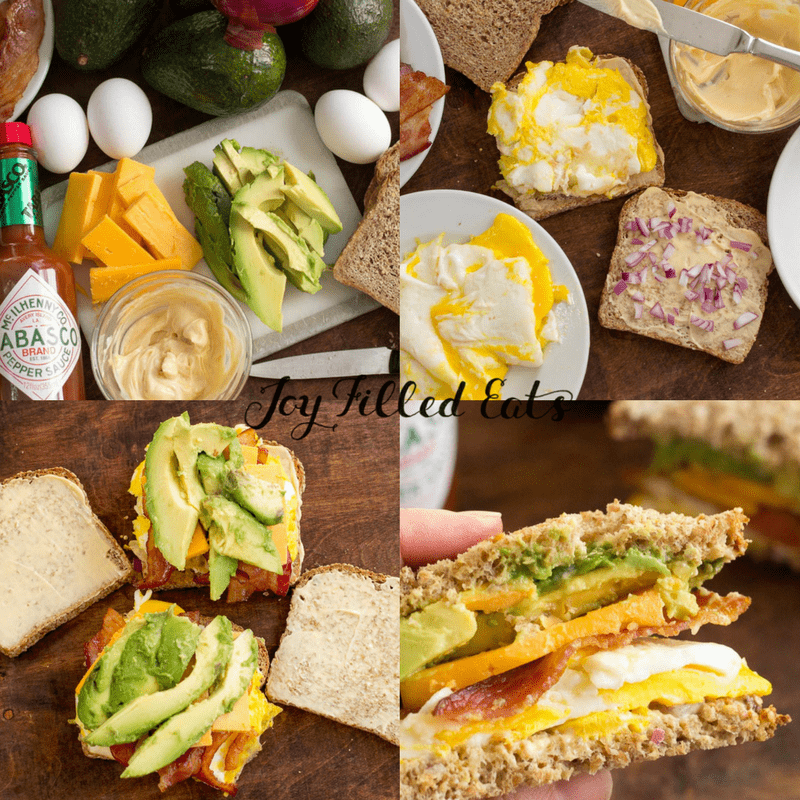 My Loaded Egg Sandwich has layers of bacon, fried eggs, red onions, cheddar cheese, spicy mayo, and ripe avocado. It is the most delicious bite before noon you will ever have. This recipe post was sponsored by Avocados From Mexico in partnership with the Mom It Forward Influencer Network. However, all thoughts and opinions are my own. 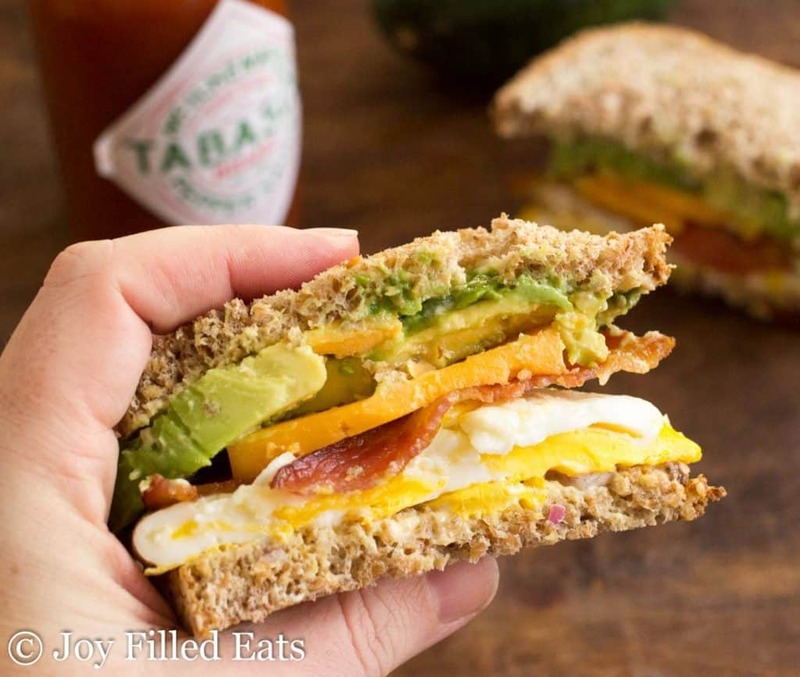 This amazing sandwich is inspired by The Fancy at Mike & Patty’s in Boston, Massachusetts. My husband and I went to Bar Harbor and Boston for our 10th-anniversary trip back in 2013. Beforehand I researched all the food I wanted to eat. Half the fun of vacations for me is the planning that I do ahead of time. I love to research options for excursions and meals. Then I love to come home and recreate my favorites. After eating The Fancy I had to come home and make it again. It has become a standard in our home for weekend breakfasts. My easy way to make a spicy mayo is to add TABASCO® Sauce and garlic salt to a prepared mayonnaise. I try to have this blend in the fridge to add flavor to dips, wraps, sandwiches, and more. 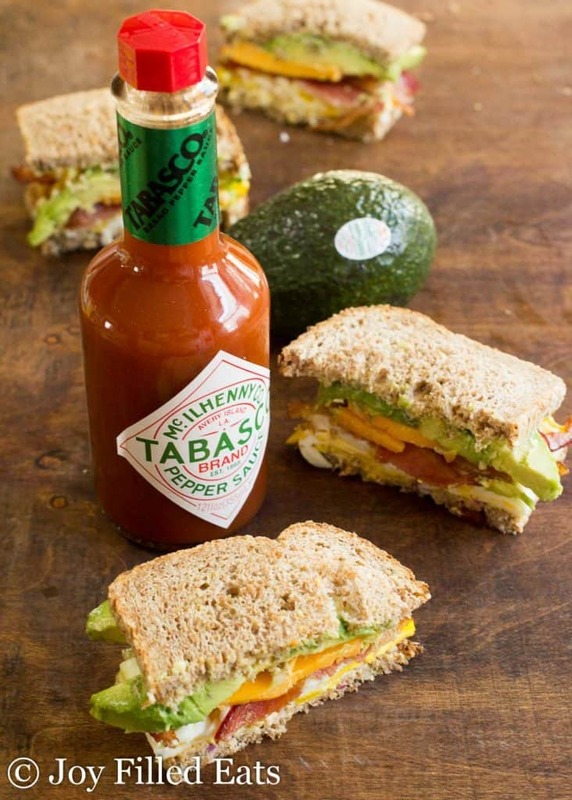 TABASCO® Sauce has only a few simple ingredients and a ton of flavor. Vinegar, salt, and peppers are the only ingredients. 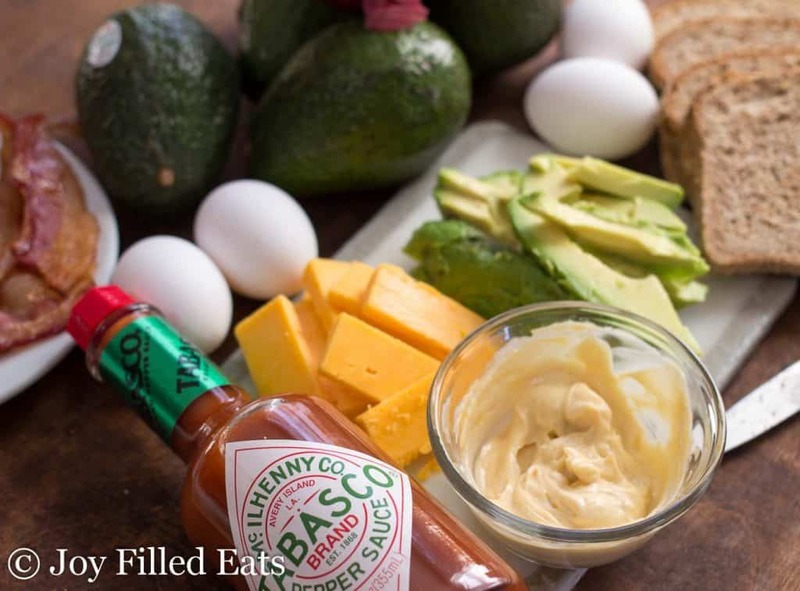 This makes TABASCO® Sauce excellent to Flavor Your World and perfect for any type of dish or diet. For parties and events, such as football games and the Big Game coming up on February 4th, add TABASCO® Sauce to your handheld snacks such as burgers and sandwiches. One of my favorite ways to entertain is to set out sandwich ingredients and let my guests build their own sandwiches. This is a great way to keep entertaining simple. Cook up some eggs and bacon, slice up some nice ripe Avocados From Mexico, put out cheese and bread, and make my easy spicy mayo. You can feed a crowd in no time with this egg sandwich recipe. Avocados From Mexico are an exciting addition to many foods. You can follow this pinboard for more recipe ideas. I will make a bunch of these! Guacamole is versatile and delicious. If you need an easy guacamole recipe check out my recipe here. If you are following Trim Healthy Mama this recipe would be a crossover if you use Ezekiel bread like I did. To make this an S recipe you can use any of the fuel pull loaves of bread in the cookbooks or on Pinterest. There are also many low carb or S breads online as well. Note: Entrants can enter for a chance to win on all the participating bloggers’ posts, but they can only win once. One person will be awarded the $1,000 prize. The five bloggers on the winning team—the team that gets the most collective giveaway entries—each gets to award one winner with $200. So what’s that mean? Make sure to go enter on all the bloggers’ pages that I’ve linked to increase your chances of winning a prize! Makes 2 breakfast sandwiches. Easily halved or mulitplied to serve additional people. In a large frying pan over medium-high heat cook the bacon until crisp. Remove to a paper towel-lined plate to drain. Crack the eggs into the frying pan and cook until the yolk has just set. Meanwhile, stir together the mayo, TABASCO® Sauce, and garlic salt. To assemble spread mayo on one side of each slice of bread. Sprinkle some red onion on two of the pieces, those will be the bottoms. 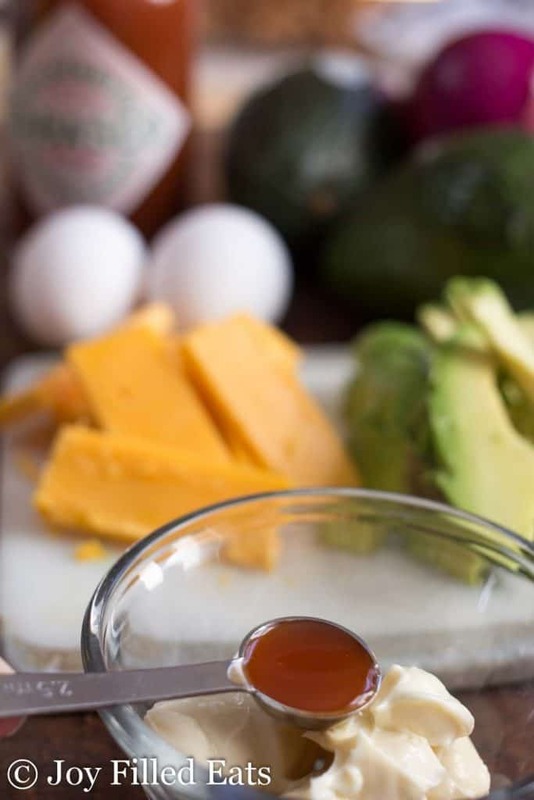 Then layer the eggs, bacon, cheese, and Avocados from Mexico. Top with the second slice of bread. Enjoy! 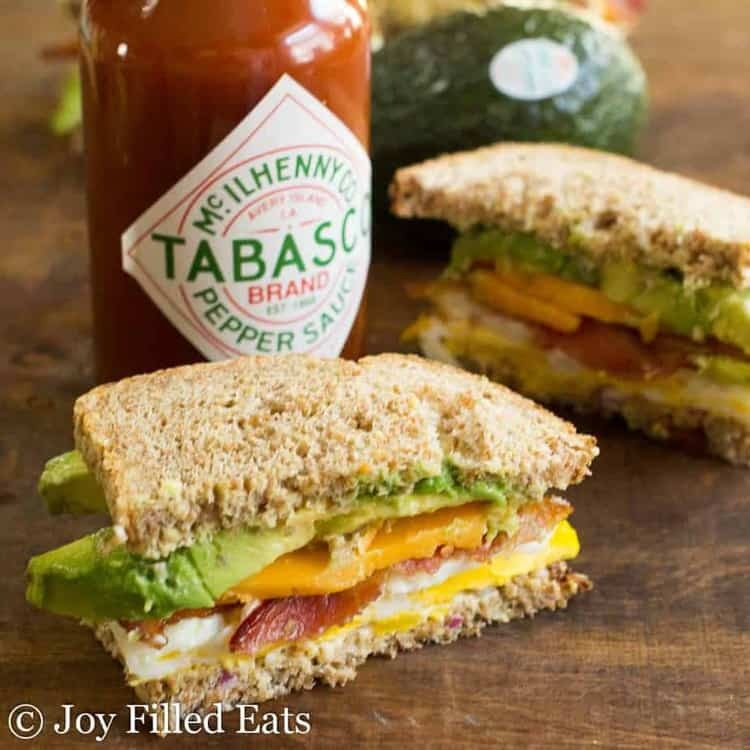 Make sure to share this egg sandwich post with your TABASCO® Sauce and Avocados from Mexico loving friends and family! If you are looking to liven up your breakfast stop right here. 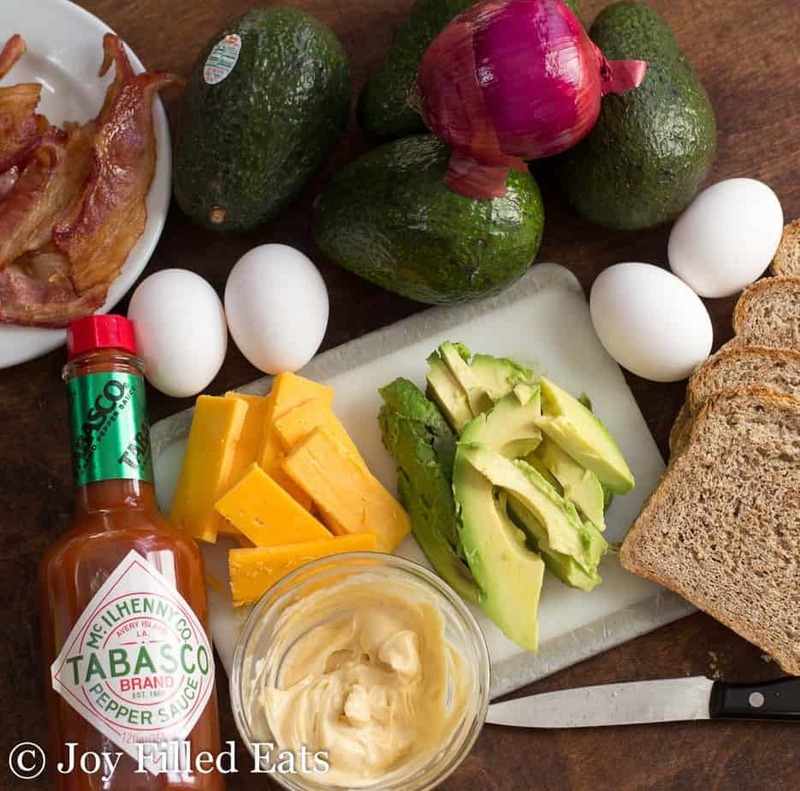 My Loaded Egg Sandwich has layers of bacon, fried eggs, red onions, cheddar cheese, spicy mayo, and ripe avocado. It is the most delicious bite before noon you will ever have. Nutrition is calculated without the bread. Simply add in the net carbs for the bread of your choice. What kind of bread did you use in the pictures? Thank you. Hi Libby, I used Ezekiel Bread in the photos. It's a sprouted bread found in the freezer section of most grocery stores. Thanks for visiting! 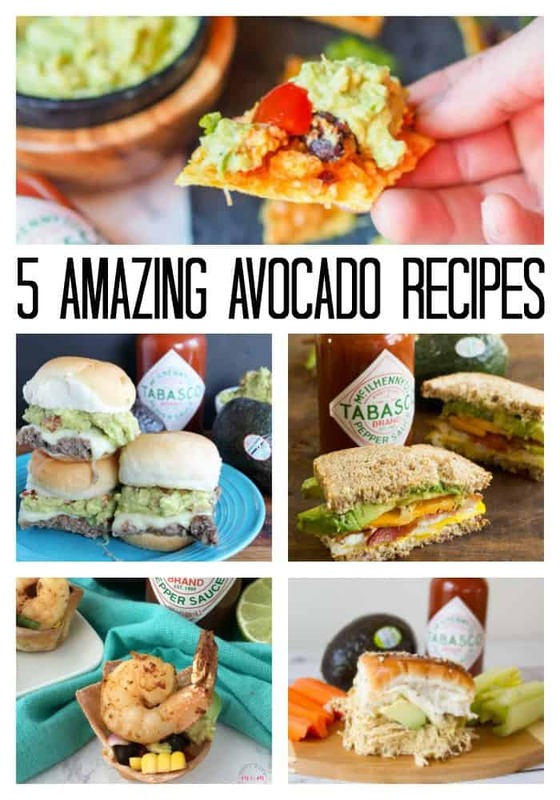 https://avocadosfrommexico.com/recipe/appetizers_snacks/green-avocado-hummus/ This looks amazing and on plan!